Verizon is giving away up to 2GB of free data to subscribers with relatively new Android smartphones. All you have to do to take advantage of Verizon’s deal is make three purchases with Android Pay. There's your excuse to pick up a Big Mac, a latte from Peet’s, and a copy of Far Cry Primal at GameStop. The giveaway is part of a promotion that encourages people to start using Android Pay, which is essentially the Android version of mobile payments. Any Verizon customer with a postpaid plan who has an Android Pay-compatible phone will get 1GB of free data the next time they use Google’s mobile payment platform. Use it another two times, for a total of three separate purchases, and Verizon will throw in another gigabyte of free data. Once you’ve got the data freebie, Verizon says you’ll be able to use it across two billing cycles. The offer ends on June 14. Android Pay works with phones running KitKat 4.4 or higher and requires NFC—a feature that is built into many modern smartphones. Why this matters: Verizon’s new promotion appears to be part of Google’s Android Pay rewards program. Both Apple and Google want people to switch from swiping credit cards to tapping their phones at payment terminals across the country. Incentives like free data should push a good number of people to try Android Pay with the hope they’ll continue tapping their phones at cash registers long after the rewards stop. 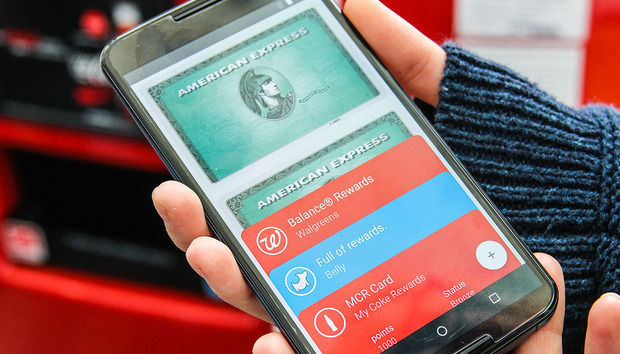 Currently, Android Pay is available at 1.5 million locations across the United States, including McDonald’s, Foot Locker, GameStop, Peet’s Coffee & Tea, Staples, Subway, and Whole Foods.